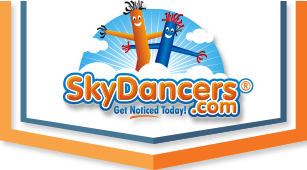 The 20ft Green Sky Dancer inflatable advertising attachment from Skydancers.com is what will get you the increase in traffic for your special business or event. No one will be able to resist the vibrant green color, towering height, and the dancing motion. You'll see increased number of patrons and higher sales. This inflatable advertising product is the perfect solution to take your business to the next level! Arrived very fast. Effortless ordering. Sky dancer was exactly as described. Installation was a snap.